ILG is thrilled to welcome Anne Rooney McCord to the leadership team. Anne joined the firm in August and brings more than 20 years of Executive-level Human Resources experience to ILG. Anne has dedicated her career to building transformational work cultures that drive business results. She brings a unique client-centered vantage point to the ILG team. Anne will serve as Chief Operations Officer and one of the firm’s two Lead Investigators. Anne’s practice encompasses both investigations and strategic HR advice and recommendations. As an investigator, Anne handles matters as the most senior person on the team, in contexts ranging from EEO violations to ethics and corporate governance concerns. As an HR strategist, Anne helps clients develop effective responses to organizational crisis, be it post-investigation aftermath, merger and acquisition stress, leadership development or scaling up in response to booming business opportunities. Anne has front line experience in culture integration, executive team building and creating a foundation to support an organization through crisis. Anne has a career path that is unique in the field of workplace investigations. The depth of her experience, and the practical approach she brings, will provide ILG clients a holistic spectrum of services related to surfacing and counteracting workplace dysfunction. Anne is available not just as an investigator, but also as an executive level HR expert to provide advice and tangible solutions designed to prevent misconduct from reoccurring and to remediate the impacts of these episodes in the workplace. Anne is also accepting a limited number of clients as regular monthly subscribers for her Strategic Workplace Advisor practice, where she serves as an outsourced EVP of Human Resources to organizations who want and need HR assistance at an executive level. 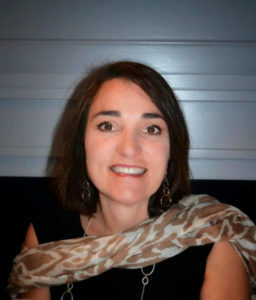 Anne earned a Bachelor of Arts in Psychology from the University of Colorado at Boulder and holds certifications as a Senior Professional in Human Resources (SPHR) and SHRM Senior Certified Professional in addition to her Colorado Private Investigator License. She was recently selected to participate in the 2018 Colorado Governors Fellow program. Inspired by the White House Fellows program and Dr. Geoff Smart’s best-selling book, Leadocracy. During her free time, Anne travels with her family, is an avid birder, and enjoys the Colorado outdoors. Learn more about Anne on her profile page found here.